I just returned from Barcelona and I completely fell in love with the city! The sparkling wine flows mid-afternoon, people eat one tapa after the next, and everyone seems to have a dog….I fit in perfectly! 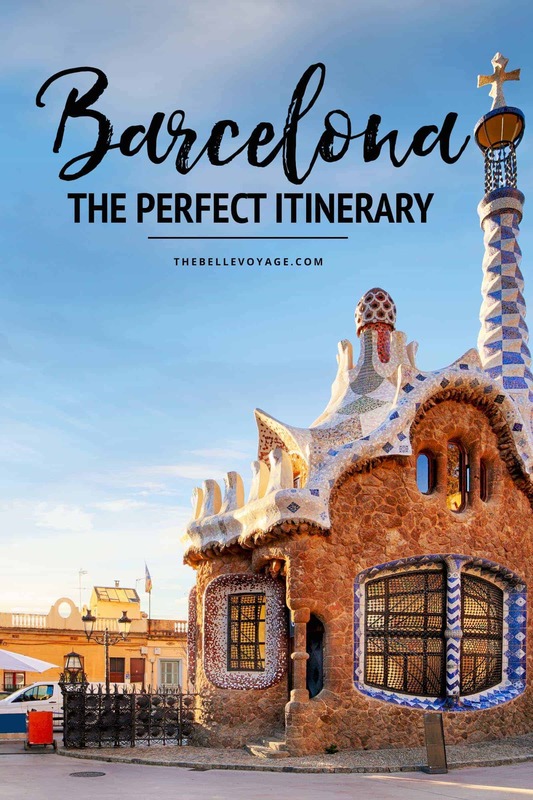 Now that I’m back, I’ve rounded up all of my favorites into the perfect Barcelona itinerary to help you plan your first-time visit to this incredible city. Make sure you have some of this in your suitcase – you’re going to need it! You can also check out my favorite travel accessories and products for female travelers in my shop. And if you’re traveling to Spain for the first time, don’t miss these 10 Essential Spain Travel Tips for first time visitors! It’s relatively easy to get around Barcelona via metro, bus, or taxi. Nevertheless, if you stay in a central location, you’ll be walking distance to many of the places in this itinerary. For that reason, I would recommend staying at either Hotel 1898 or Le Meridien Barcelona. They’re right next to one another, and they’re located on La Rambla, one of the main streets popular with visitors to the city. Barcelona Itinerary Day 1: Welcome to Barcelona! Start off your Barcelona itinerary by being one of the first to arrive bright and early at Park Güell (pronounced “gway”). 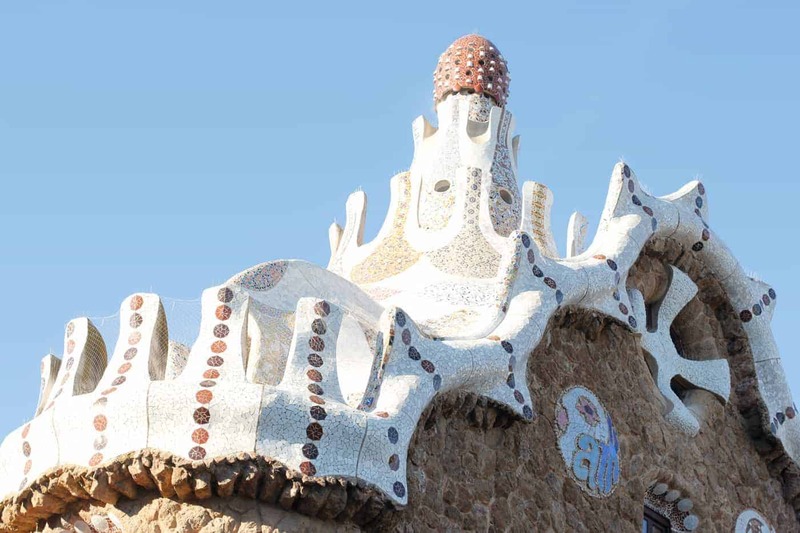 A masterpiece of Antoni Gaudí, the park is series of buildings, gardens, and gorgeous tiles. Park Guell is also one of the most photographed sights in Barcelona. Although you can visit the park by walking about 25 minutes from the nearest metro station, it’s all uphill! So I’d recommend taking a cab directly to the entrance of the park. Make sure to buy your tickets online ahead of time to guarantee your entry time. It’s best to go right when the park opens, because as the day goes on, it’ll get more and more crowded. Like, REALLY crowded. An early bird arrival means that there’ll be fewer people to dodge when you’re trying to take photos. After you’ve explored the park, make your way back down to central Barcelona, either by cab or metro (the walk on the way back is downhill). Head La Boquería, Barcelona’s biggest market, and a great spot to stop for lunch. Afterwards, spend some time meandering La Rambla, the widest street in Barcelona, along with the some of the side streets that connect to the main drag. There are tons of cute shops and great people-watching! Just make sure you stay very aware of your belongings, because this is a prime area for pickpockets. I never felt unsafe walking on La Rambla, but just make sure you keep your bag close to you. After exploring La Rambla, head to the nearby Hotel 1898 for sunset cocktails and tapas on their rooftop terrace, where you can look out across the sprawling city. No Barcelona itinerary would be complete without rooftop tapas! For dinner, you can walk through the trendy boutiques in El Raval and take your pick of delicious places to stop for a meal, stopping to check out the shops along the way. Remember – dinnertime in Barcelona is LATE compared to most other parts of the world! Most locals don’t head out to dinner until around 10pm. For that reason, if you show up at 6 or 7pm, you’ll be the only one in the restaurant. It took some getting used to for me! For your second day in Barcelona, spend your time exploring the Gothic Quarter, the center of old Barcelona and one of the best preserved medieval areas in Europe. The architecture is incredible, and there’s plenty of delicious eats tucked away within the narrow streets. A perfect start to your day is with a pastry and a coffee from Caelum, where convents and monasteries within Barcelona make the baked good. Turns out that nuns are pretty great bakers! A fun neighborhood to wander in is The Born, where there’s tons of cool boutiques and trendy stores. Check out the streets around Passeig del Born. In this area, you can meander through chic clothing and concept stores that are far less touristy than those around La Rambla. Bordering The Born neighborhood is the Gothic Quarter, and it’s a great place to get lost for an afternoon. Enjoy the narrow streets and the gorgeous architecture. Or better yet – stop for a glass of cava (or two!) as you make your way through this beautiful part of the city. Lookout for the Barcelona Cathedral on Pla de la Seu and the Pont del Bisbé on Carrer del Bisbe. Make sure to stop at a little cheese store that I discovered in the Gothic Quarter called Formatgeria La Seu. You can taste three local cheeses along with a mini glass of wine for three euros. It’s some of the best cheese I’ve ever had. The same people own the bar next store, which has a great cava by the glass, in case you haven’t had your share yet. Towards the evening, head to the Picasso Museum in the heart of the Gothic Quarter. The museumt is open until 7pm during the week and 9pm on Thursdays. It’s one of the most extensive collections of Picasso’s work anywhere! You can buy your tickets for the museum online ahead of time, and you’ll save yourself a wait in line. Wrap up your day in the Gothic Quarter with dinner at Bar de Pla, a local favorite for delicious tapas! Today is filled with Gaudi’s famous works, which are a seamless blend of nature and architecture. 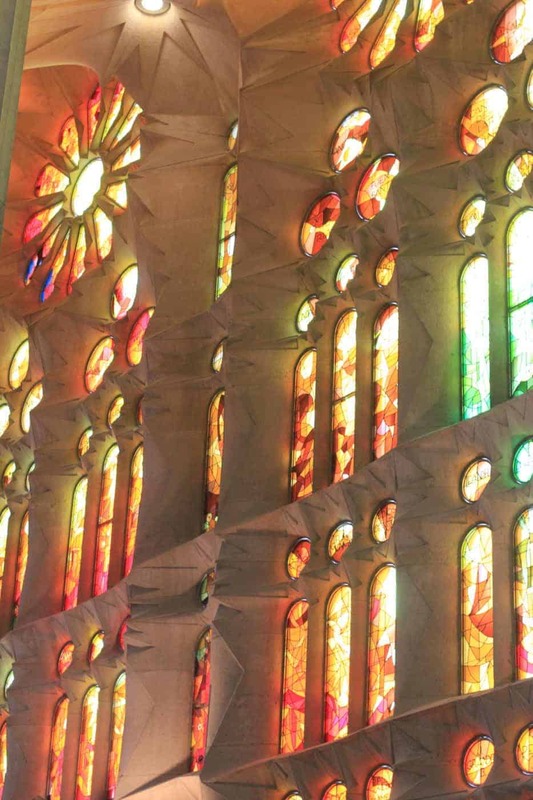 Start your day early by being one of the first entrants into the Sagrada Familia. Like Park Guell, Sagrada Familia is one of Barcelona’s most popular sights, so it gets really crowded really quickly. You can buy your tickets online ahead of time, which I would highly recommend. It’s optional to buy a ticket that allows you to climb up the tower of the church for a beautiful view across the city. You can take an audio tour of the church and learn more about it’s history (it’s been under construction since the late 1800’s – and still isn’t complete), or you can just absorb the beautiful light that enters the building via the multitide of stained glass windows that will dazzle you with their beauty. I’ve seen many churches in Europe, and La Sagrada Familia is without a doubt, one of the most stunning and memorable. After La Sagrada Familia, it’s time to explore more of Gaudi’s masterpieces. 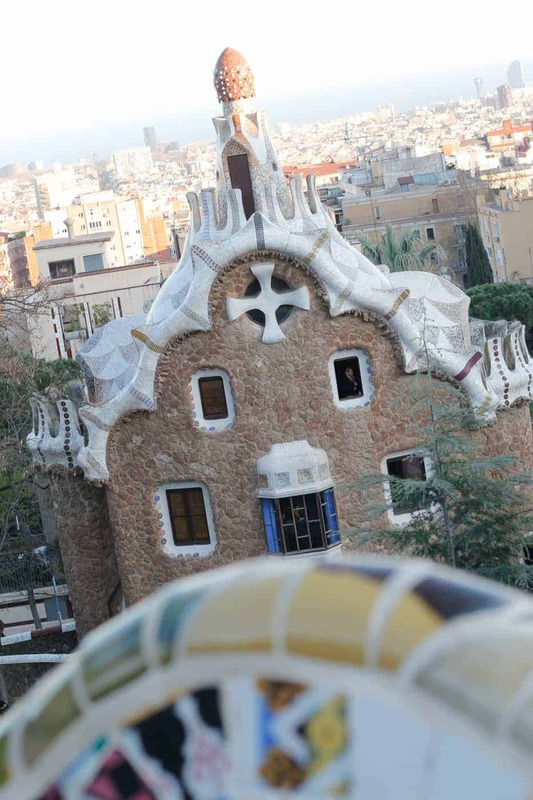 Head over to Casa Batlló (pronounced bay-yo) or La Perdrera. You can choose one if you think you’ll be pressed for time, but it’s likely that you’ll be able to fit both of them in during the afternoon. If you have to choose, personally I thought that Casa Batlló was a standout. For both buildings, make sure to buy your tickets online ahead of time to avoid lines that can be incredibly long. 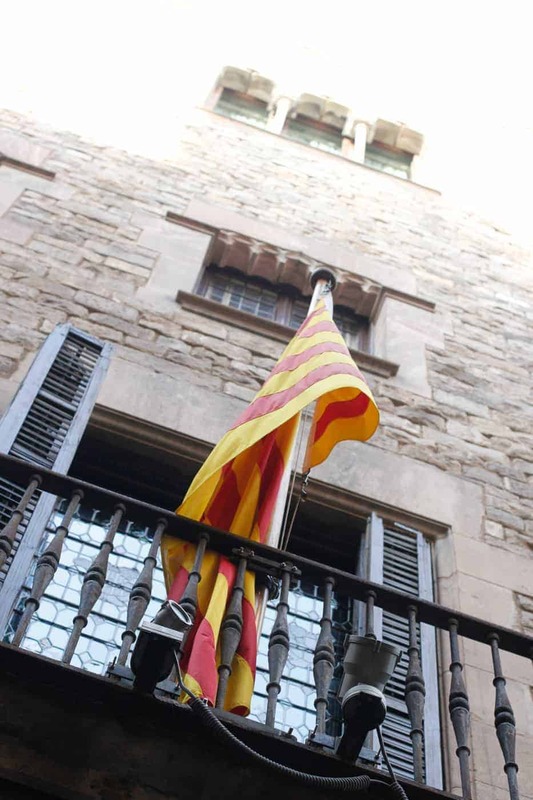 For Casa Batlló, you can do that here, and for La Perdrera, you can do that here. For dinner tonight, check out the adorable Mont Bar, a modern and sophisticated take on traditional Spanish tapas – the food is just incredible! Finally, if your Barcelona itinerary includes a fourth day, you’ve got time for a day trip outside of the city. Check out Santa Maria de Montserrat Abbey, go on a wine tasting tour, or check out Bogatell Beach, one of Barcelona’s most beautiful and popular beaches. There you have it! The perfect Barcelona itinerary for first-timers! If you have more time in Spain, I highly recommend a side trip to San Juan de Gaztelugatxe, one of the most magical places in the entire country. And to take in the charm of Spain’s Basque Region, you can’t miss a trip to San Sebastian. 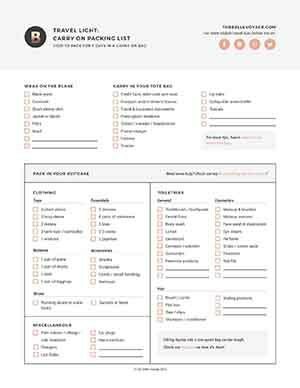 Need help packing for your trip to Barcelona? Check out my top tips for packing for Europe, as well as my best packing tips for women!